Could the soft, ethereal sounds of Reykjavik post-rock giants really be about to go aggressive? Fans of Iceland's greatest post-rock outfit haven't had the easiest of times. 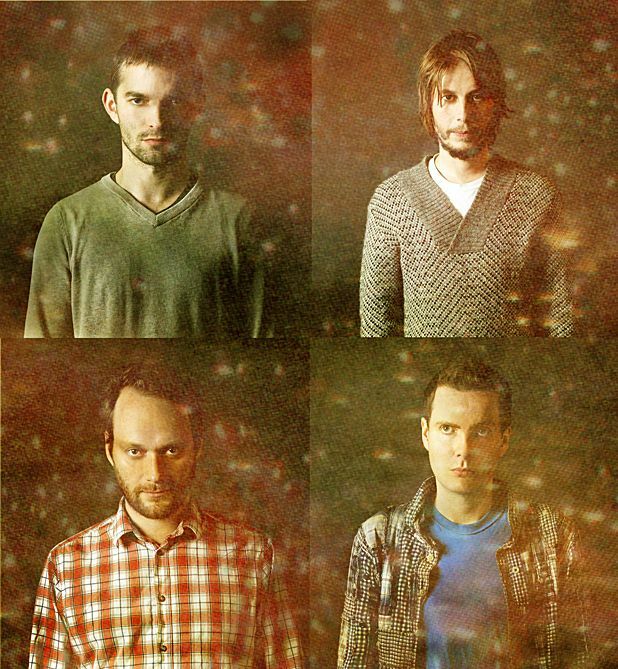 2010 saw the near disintegration of Sigur Rós as lead singer Jón Þór Birgisson embarked on his own very successful solo project as Jónsi, and other members took time off to be parents and immerse themselves in life away from the road. The band finally broke the silence with last year's Valtari, a sign that their 'indefinite hiatus' had indeed finished. 'We are almost finished working on the new album,' says Georg 'Goggi' Holm, bass player and founding member. 'In fact, we've actually spent most of the last year working on it. This album is quite different to anything we have ever done. It is hard to put the finger exactly on what it is but it is definitely different. Maybe it is a little more aggressive - in a good way,' he laughs. The forthcoming, as yet untitled, record has been borne amidst a period of cataclysmic change for the outfit. Last November the group confirmed long-time member Kjartan Sveinsson was no longer a part of Sigur Rós. The multi-instrumentalist joined the group in 2001; his keyboard and guitar work quickly became an important element in the band's signature ambient soundscapes. The change may prove to be more than one of personnel, with Goggi hinting at a shift in musical direction. 'There are elements of the new record that are perhaps more evidently electronic than before,' he reveals. Fans of the classic Sigur Rós sound should not despair, however. While the gig will showcase the new record, it should also please devotées of their older material. In preparation, the trio have bolstered their live set-up – not quite to the grandiose extremes of their recent show-stealing performance at Iceland’s Airwaves festival, where they played behind a giant white screen, backed by a classical orchestra. This Scottish visit will include the addition of two touring members, one of whom, Kjartan Holm, Goggi's younger brother, is a member of lauded Icelandic post-rock group For a Minor Reflection. 'We realised we needed someone to play the piano and the synths so we decided to bring in two people for the tour', Goggi continues. Although the Glasgow set will include cuts from the forthcoming release, wranglings with their record label and their intensive recording approach means the album will be held back for a few months yet. Sigur Ros play the SECC, Glasgow, Sat 2 Mar, with support from Blanck Mass.